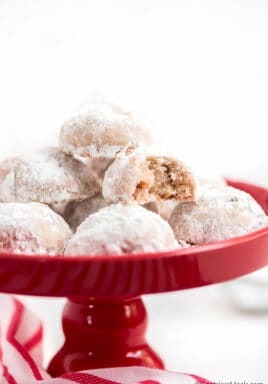 Snowball Cookies are the easiest festive winter cookie to make. These buttery, melt-in-your-mouth cookies are made with 6 ingredients and are ready to eat in just 30 minutes. The days are getting shorter and the air is getting cooler. The holidays are just around the corner and winter is too. It’s the best time of year to layer up, light the fire, gather with friends, and munch on yummy treats like these Snowball Cookies! These rounded, white, sugary cookies are also known as Russian Tea Cakes or Mexican Wedding Cookies. They are a super buttery soft cookie containing just a few ingredients – butter, sugar, salt, vanilla, flour and pecans. The pecans are finely chopped and give the cookie a delicious nutty flavor. 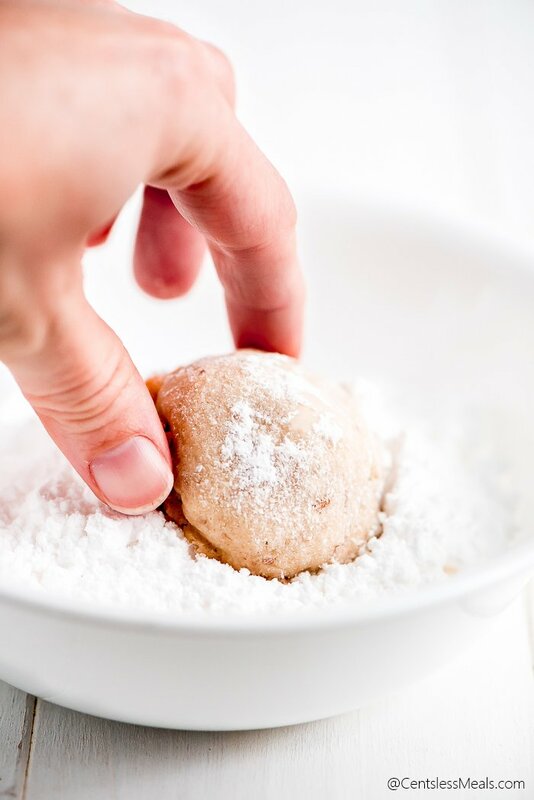 Unlike other cookie recipes such as Oatmeal Chocolate Chip Cookies or Peanut Butter Cookies, this Snowball Cookie recipe contains no eggs and the sugar used in the dough is actually powdered sugar, giving them a very light texture. 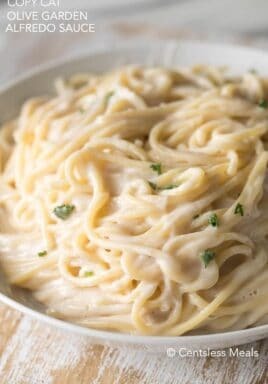 You’ll start out by creaming the softened butter with an electric mixer. I recommend using butter that has sat on the counter for about 20 minutes. You don’t want the butter too soft or else your cookies will be difficult to roll into a ball and will spread too much. Then, cream in the powdered sugar, salt, and vanilla. Finally add in the flour and the chopped pecans. Once it’s all mixed, you’ll roll the dough into 1 inch balls and place them 2 inches apart on a baking sheet. It’s important to not over bake these cookies or they’ll be hard and crumbly. I recommend checking them at 8 minutes. When they start to look lightly browned on the bottom edge, remove them from the oven. Immediately sprinkle the cookies with powdered sugar while they are on the baking sheet. Transfer the cookies from the baking sheet to a cooling rack after 5 minutes and allow to cool completely. 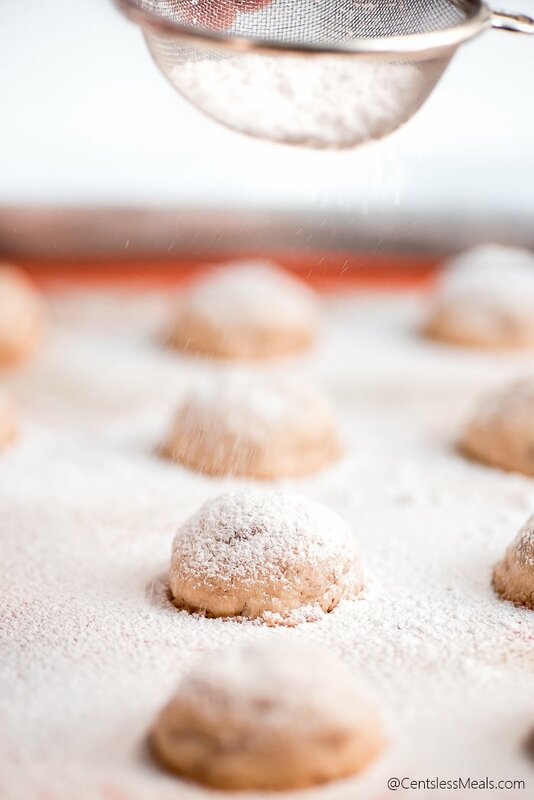 Once the cookies are cooled, roll them in powdered sugar. 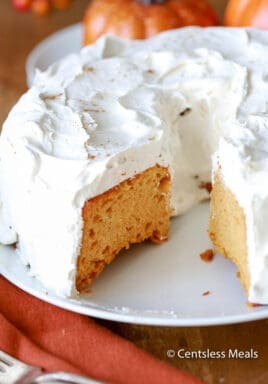 Yes, there is a lot of powdered sugar on the the outside of the cookie but there isn’t a ton in the batter so trust me, you will want it. Plus, this is what makes the cookie look like a snowball! How to Store Snowball Cookies? Once the cookies are completely cooled and rolled in powdered sugar, store in an air tight container. They will last up to 3 days. They can also be frozen for up to 3 months. These cookies are perfect for adding to your holiday goodie plates! 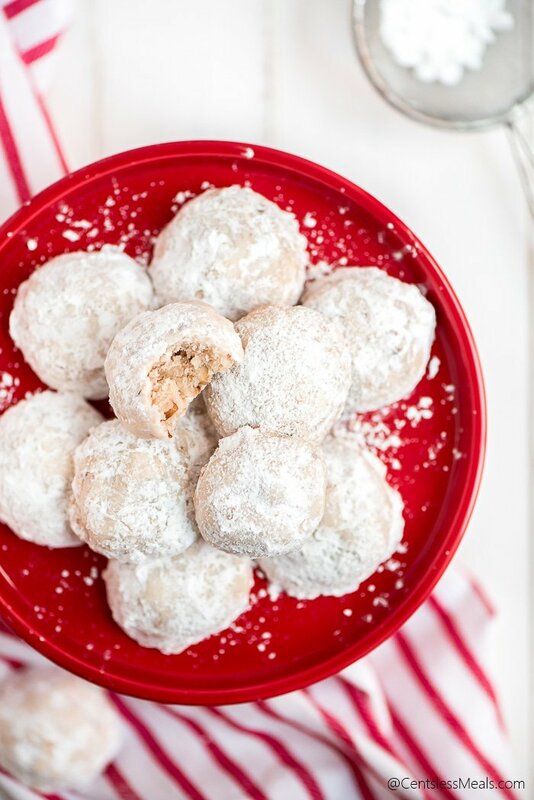 Save this Snowball Cookie recipe to make during the holidays. Enjoy! 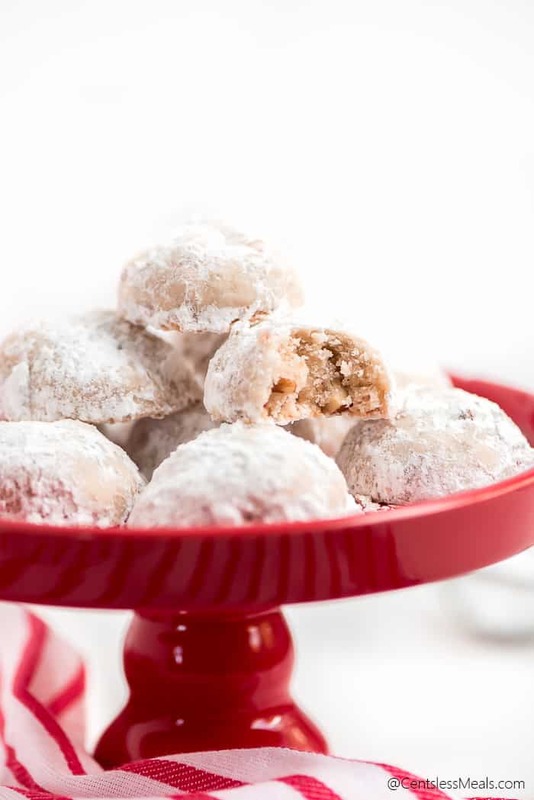 Snowball cookies are the easiest festive winter cookie to make. These buttery, melt-in-your-mouth cookies take just 6 ingredients and are ready to eat in just 30 minutes. 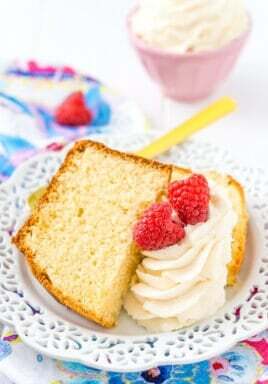 Beat butter, 1/2 cup powdered sugar and salt until creamy. Beat in the vanilla and then the flour and pecans.